The growing need for ’intelligent’ video retrieval systems leads to new architectures combining multiple characterizations of the video content that rely on highly expressive frameworks while providing fully-automated indexing and retrieval processes. As a matter of fact, addressing the problem of combining modalities within expressive frameworks for video indexing and retrieval is of huge importance and the only solution for achieving significant retrieval performance. This paper presents a multi-facetted conceptual framework integrating multiple characterizations of the audio content for automatic video retrieval. It relies on an expressive representation formalism handling high-level audio descriptions of a video document and a full-text query framework in an attempt to operate video indexing and retrieval on audio features beyond state-of-the-art architectures operating on low-level features and keyword-annotation frameworks. 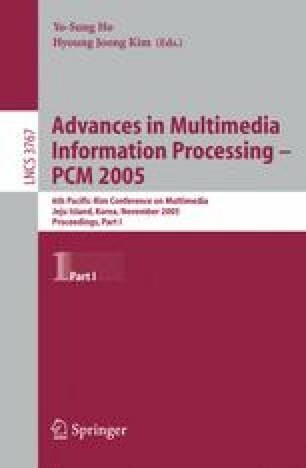 Experiments on the multimedia topic search task of the TRECVID 2004 evaluation campaign validate our proposal.